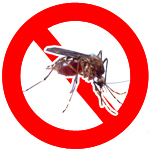 I live in Zambia where I and my family experience malaria now and again. It is not an illness you would wish on any one especially that many of us know someone who has died from it or other complications related to it. Summer has just began and the mosquitoes are back. Just this morning I realised that I may be suffering from mosquito induced insomnia. The little insects are a real nuisance during the night. I would really love to get rid of them.